If, instead of sports, your first thought while watching the Olympics is “I wonder what they’re drinking in Rio,” it’s time to get familiar with cachaça. The national spirit of Brazil dates back to the 1530s and is made from distilling fresh sugarcane juice — unlike rum which is typically made from molasses. It’s also the key ingredient in the country’s most popular cocktail, the caipirinha. 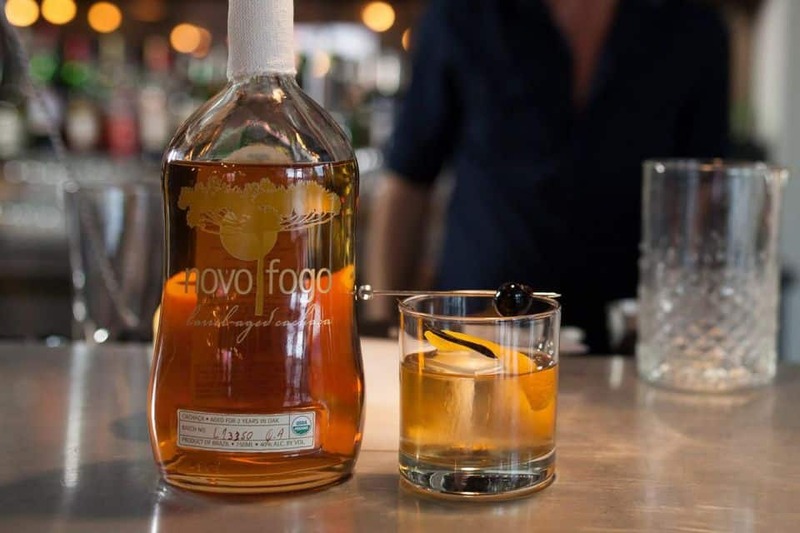 Already one of the top consumed spirits in the world, cachaça is now finding a wider audience in the Unites States. …Now that you have some cachaças to seek out, it’s time to make your first caipirinha. Luckily, this is a very easy drink to make. The ratios vary, but essentially you are muddling lime and sugar, adding ice and cachaça then shaking — perhaps some samba or bossa nova music to get the rhythm right. Below is Ivy Mix’s recommendation, plus another to try if you’re feeling more adventurous. Take two quarters of a lime and muddle with a big spoon of granulated sugar. Add ice and shake HARD for about 5-10 seconds. Pour entire contents into a rocks class.